One of the fastest growing universities in Asia, Quest International University (QIU) Perak, Malaysia together with VTL Management Educational Center, Colombo, is offering an array of courses in multiple fields of study to Sri Lankan students. QIU, Chief Operating Officer (COO) Nicholas Goh stressed that QIU strives to be more than a mere degree mill, in line with the vision of its council Chairman, Dr. Vijay Eswaran. QIU also announce that the Sri Lanka Medical Council (SLMC) has officially recognized QIU’s Bachelor of Medicine & Bachelor of Surgery (MBBS) programmes, adding the university to its list of recognized foreign universities. With this recognition, the SLMC will accept MBBS degrees obtained from QIU. This is the latest of many recognitions and accreditations that have been bestowed on QIU’s programmes. QIU’s MBBS programme is listed in the World Directory of Medical Schools and its Faculty of Medicine has been validated as a medicine school of high quality. QIU medical graduates could also enter residency or fellowship programmes in Canada and the United States that are accredited by the Accreditation Council for Graduate Medical Education (ACGME). Goh said that the recognition would open up opportunities for Sri Lankan students who wished to pursue their studies in Malaysia. “Due to SLMC’s recognition, Sri Lankan students could now come to QIU to study medicine, safe in the knowledge that their degree would be recognised in their home country,” asserted Goh. “In today’s job market, employers are looking for people who can make an immediate impact”, said Goh. He also said that tuition and other fees would be equal to both local and foreign students. 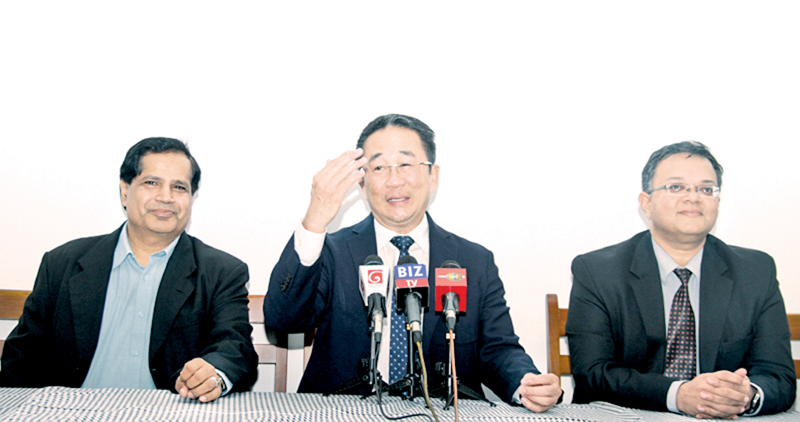 “QIU has always enjoyed fruitful relationship with Sri Lanka. In September 2018, the University sent its lecturers and students to deliver a Hospitality Training programme to six participating Sri Lankan hotels”. The hotels included the Shinagawa Beach Resort, Tamarind Hill, Taprobana Wadduwa, The River House, The Habitat and Le Grand Galle Hotel. All of the hotel trainees were awarded with Executive Certificates in English for Hospitality and Tourism, Front Office Operations, Housekeeping Operations, and Food and Beverages Operations. Quest International University Perak (QIU) is a private and comprehensive research-led university and it is owned by Global Integrated Training Associates Sdn Bhd, and the State Government of Perak has equity participation along with the QI Group. There are five Faculties and one Centre at QIU – the Faculty of Medicine, the Faculty of Science and Technology, the Faculty of Business and Management, the Faculty of Social Sciences, the Faculty of Pharmacy and the Centre for Research and Innovation. QIU offers programmes at Foundation, Diploma, Degree and Postgraduate levels.